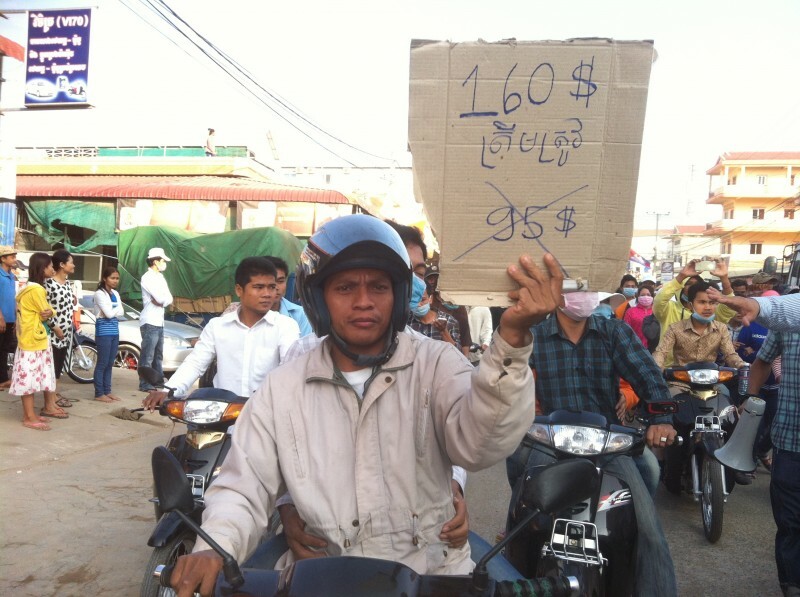 Tens of thousands of Cambodia’s garment workers participated  in a nationwide strike to press the government to raise the monthly minimum wage to $160 dollars. The current minimum wage is only $80 dollars and the labor council is only willing to grant a $15 dollar  hike in basic pay. A government official also told workers that the demand for a $160 minimum wage will be met only in 2018. The garment sector is a $5 billion dollar  export industry in Cambodia which employs more than 600,000 workers. The opposition has been holding daily protests at the Phnom Penh Freedom Park to press for the ouster of the incumbent government which has been accused  of manipulating this year’s election results. Prime Minister Hun Sen has been in power in the past three decades although his party lost  many seats in the recent parliamentary polls. Many workers have joined  the opposition rally which could further undermine the Hun Sen administration. Labor unions have vowed to continue the protests until their demand is granted by the government. The current strike has put a spotlight on the plight  of garment workers in Cambodia and in particular the necessity for the government and the garment industry to come up with a better plan on how to improve the welfare of workers.